An initiative to divide California into three states has received enough signatures to qualify it for the November ballot, the California secretary of state's office confirmed Tuesday. -- California would be made up of six mainly coastal counties, including Los Angeles, Santa Barbara and Ventura counties. -- Northern California would include 40 counties from Santa Cruz to the Oregon border, including San Francisco and Sacramento, the state’s current capital. -- Southern California would comprise 12 counties, including Fresno, Kern, Orange and San Diego counties. However, the ballot measure faces long odds. A SurveyUSA poll found that 72 percent of registered California voters opposed the proposal, while only 17 percent support it, the report said. Even if voters approved the plan, it would still require approval from the California Assembly and Senate, the Los Angeles Times reported. Then the plan would have to overcome likely court challenges -- and still win approval from Congress, the Hill reported. Steven Maviglio, a Democratic political consultant who opposes breaking up the Golden State, told the Mercury News that Draper’s initiative was taking the wrong track. If passed, it would be the first division of a U.S. state since 1863 when West Virginia was created, the Times reported. California, admitted to the Union on Sept. 9, 1850, has faced more than 200 attempts at boundary reconfiguration, divisions and even secession over the course of its history, the report said. Draper previously proposed splitting the state into six separate states in 2012 and 2014, but election officials invalidated many of the signatures his campaign collected, the Hill reported. Tim Draper previously proposed splitting California into six states. Last summer, Draper formally submitted the three-states proposal. 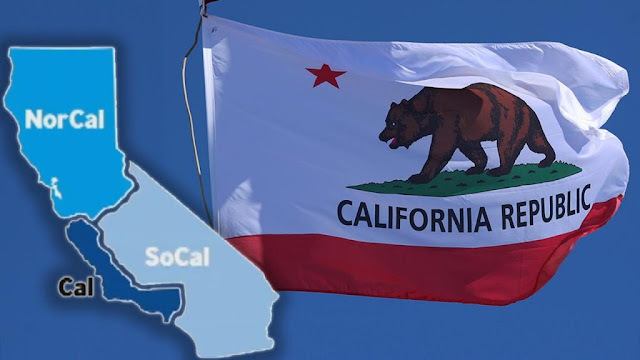 Analysts from the University of Virginia’s Center for Politics predict that the new California and Northern California would be Democratic-leaning, while Southern California would be a swing state. "This measure would cost taxpayers billions of dollars to pay for the massive transactional costs of breaking up the state, whether it be universities, parks, or retirement systems,” Maviglio told the Times.